Richard K. Coplon is primarily engaged in individual and corporate commercial matters; related litigation. Reported cases include a leading Supreme Court case addressing shareholder rights and oppression; an Appellate Division case regarding applicability of Consumer Fraud Act to the sale of securities. Family law matters including custody, divorce, modification and enforcement of agreements. Mr. Coplon is admitted to practice in New Jersey and New York. 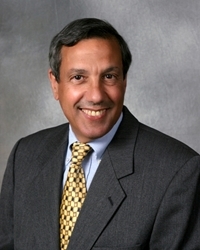 He has served on the District Ethics Committee for Essex County.